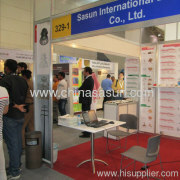 company profile of SASUN INTERNATIONAL ELECTRIC CO., LTD.
Sasun International Electric Co., Ltd, was established in 2001, As a professional manufacturer & exporter on high voltage overhead line product in China, our main product include all kinds of Cable Accessories , Dorp Out cutout fuse, and DISC / Pin insulators, Load Break Switches,Power fittings , etc, which are widely applied to transmission, distribution and substation used in urban & rural power grip(ranged from 400V to 1000kV) and utilities. 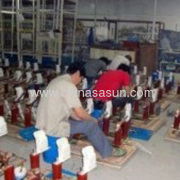 Our factory is equipped with new machine and powered by rich manufacture skill with our long factory history. 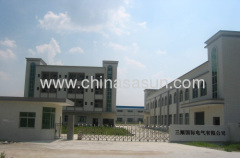 All production are strictly performed under ISO9001 system and most product are in comply with prevailing international standard like IEC, ANSI, BS, DIN, AS etc. 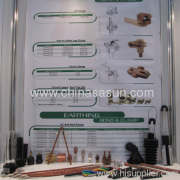 Up to now, we have obtained type test report & product recognition for insulator, surge arrester, cutout fuse product from Chinese leading testing labs like China National Centre for Quality Supervision and Test of Insulators and Surge Arresters, China National High Voltage Apparatus Quality Supervision Testing Centre etc. Over the past 10 years, we have achieved sound reputation from domestic and oversea customer, by our reliable quality, reasonable price and sincere after-sale service. Our business has been rapidly expanded to over 30 countries and regions including African, East European, MID-East and South-America etc. 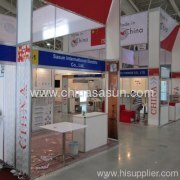 We will continuously take full effort & endeavor to supply qualified product as well as excellent service to all our global old and new customers. 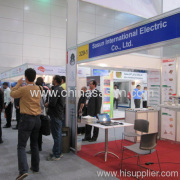 We warmly welcome you to reach us for mutual beneficial & long-term cooperation. Contact us today for more details now, thanks very much !